Oreck steam cleaner reviews where we discuss the Oreck Steam-It. 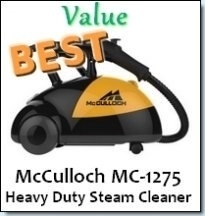 We discuss the pros and cons of Oreck steam cleaners and what makes this steamer unique. Before diving in, we will have a quick look at Oreck’s history. This company was formed in 1963 by a man called David Oreck. He designed and built vacuum cleaners mainly for the hotel industry. David was quite successful in his goal and Oreck became one of the leading suppliers to hotels worldwide. Eventually, his vacuums became accessible to the retail market and are now a household name. Oreck vacuums are known for being lightweight and having self sealing bags which makes disposal a breeze. The top fill design is a preventative measure to ensure that clogs are prevented before they happen. However, this doesn’t mean that they can’t occur though. Oreck is known for its thoughtful design which puts the comfort of the user in the highest regard. It is excellent for allergy sufferers that want to have very little contact with the dust that vacuums trap. Besides vacuum cleaner, Oreck has designed one steam cleaner which we will thoroughly review in this article. 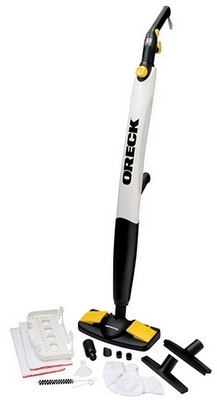 This Oreck steam cleaner is the Oreck Steam-It Steam Mop. 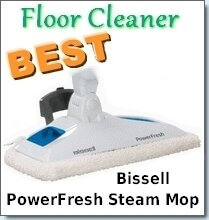 First off, this steam mop costs a bit more than many other steam mops in the market. However, don’t dismiss it as it has many features that would make considering this steamer worthwhile. Oreck has been known for producing many quality products, so we will first look at its features, then reviews. The Oreck Steam-It offers dry steam which is rare to find in most steam mop models. Dry steam as its name indicates, contains very little moisture which has many benefits. 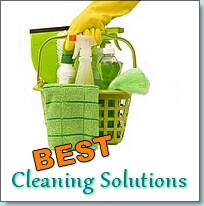 One includes that it will not leave behind much if any, water residue on your floors. 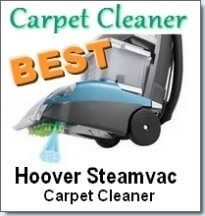 Also, you can safely use this steamer on your carpets. It has a unique and pressurized steam chamber which prevents spilling and ensures that your floors are completely sanitized. The Oreck steam cleaner is capable of killing microorganisms, dust mites, germs and all forms of bacteria without using harmful chemicals. After pouring water into the reservoir, it only takes 30 seconds to heat up before you can steam clean. It is lightweight as it weighs a mere 8 lbs and you can even safely use it on other surfaces besides the ground. Because it its anti spillage mechanism, you can use it upside down or to the side and not worry about any water leaking out. It has fingertip controls and the model sold through the Oreck website sports a 25 foot power cord, however, some models on Amazon have 16 foot cords. Each Oreck Steam-It comes with 6 attachments which allow it to clean a number of surfaces. You can clean your curtain drapes, upholstery, mattress, hard floors, carpets, rugs, kitchen and bathroom surfaces, grout and your windows. You also get two re-washable and reusable microfiber pads and bonnet with each purchase. This model will cost under $160 and is backed by a one year warranty. So what do consumers think about this Oreck steam cleaner? • When filled with water, it becomes heavy, which makes lifting a bit difficult. • Many who bought the model with the 16 foot cord found that the cord length was too short.